The Judeo-Christian tradition recognizes the individual, apart from the mob. That individual is invited to meet and talk, face to face and utterly spontaneously, with God, without interruption from any earthly authority. That encounter is the life spark of Western Civilization. We define, and recognize, by contrasts. I learn much about Christian prayer and Christian monasticism by comparing them with their opposites. I think of Michelangelo’s “Creation of Adam” and what it says about my faith – specifically, what it says about the Judeo-Christian concept of God, of man, and of prayer. I think of how that artwork and its implications contrast with other belief systems: modern Atheism, ancient Paganism, and Islam. 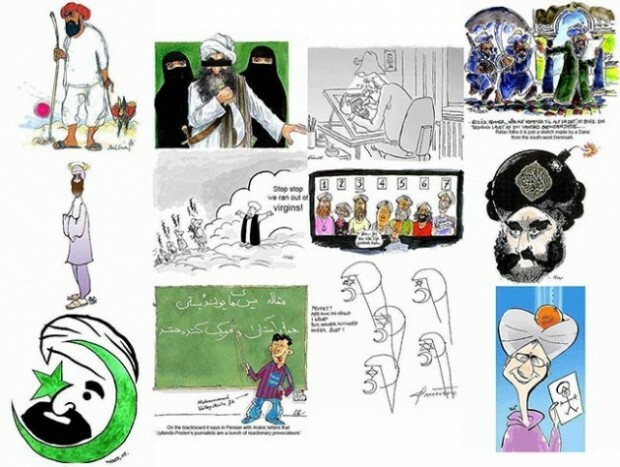 Letter to the editor: A few cartoons won’t bring down Islam, so why the violence? 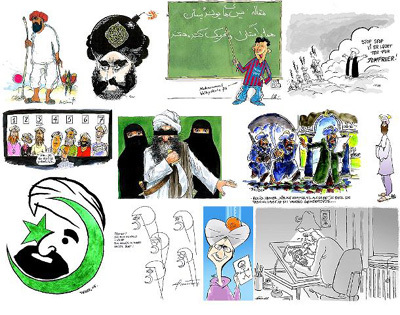 With a cursory Web search, I can find artwork critical of Islam and Muhammad dating back at least to the Renaissance, and yet Islam is a very strong religion today with about 1.5 billion followers. 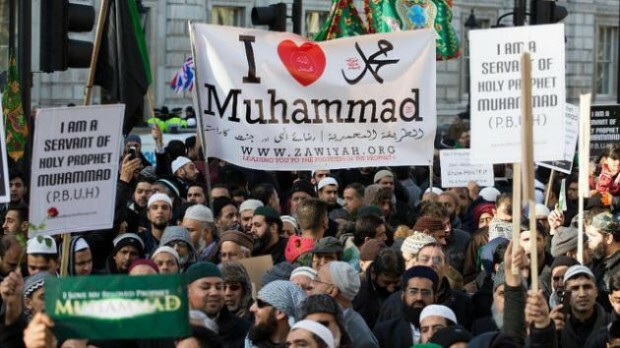 There were only 200 people who attended the event in Texas, and Charlie Hebdo has a circulation of only 60,000. Islam has demonstrated that it can withstand criticism. Thus, I think would-be attackers should look at the big picture and realize that in general their religion is doing fine. 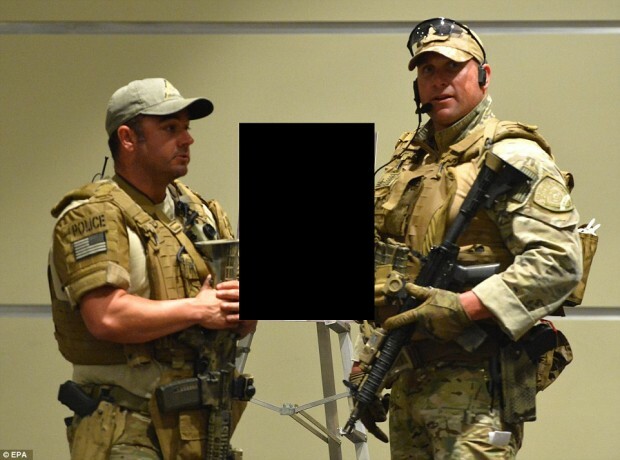 Is it too late to have an opinion about the terrorist attack in Texas? 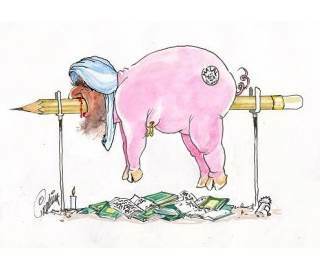 An Australian Twitter user and supporter of the Islamic State who urged an attack on a Prophet Mohammed cartoon contest in Texas has issued a threat against a Queensland-based cartoonist. The Melbourne man, known only as ‘Australi Witness‘, last week shared a map of a Garland community centre just days before two gunmen attacked the venue and were shot dead by police. Australi Witness also supported calls for ‘brothers in Texas’ to go there ‘with your weapons, bombs or with knifes’, News Corp reported. The cartoonist is Larry Pickering and you can read his posts and see his cartoons here. He is also on Facebook: here and here (much to the disgust of his enemies). Texas gunman had happy childhood in Pakistan but struggled in U.S.
(Reuters) – Nadir Soofi, a gunman shot dead after opening fire at a Texas exhibit of caricatures of the Prophet Mohammad, was a popular schoolboy in Pakistan but struggled to adjust to the United States after moving there as a teen, friends said on Tuesday. …Friends in Pakistan, who studied with Soofi at the elite International School of Islamabad, were stunned to discover that police had identified him as was one of the attackers. “When he was in Islamabad, he had a great life. His mom was an American who taught art at the school, he was in plays, popular with girls,” said one of Soofi’s best friends at school. Mind you, Anjem Choudary was wild in his youth too. Islamolunacy can break out at any time. A central tenet of Islam is that Mohammed was a man, not God, and that portraying him could lead to revering him in lieu of Allah. CNN is missing the point. Who cares why? The MSM is more than happy to ridicule Christianity. Quite apart from free speech considerations, it’s the double standards of the MSM that annoy me. The elephant dung picture may have caused outrage, but NYT still has the image on display at the link. The Islamic State group released a video on Thursday showing militants using sledgehammers to smash ancient artifacts in Iraq’s northern city of Mosul, describing the relics as idols that must be removed. The destructions are part of a campaign by the IS extremists who have destroyed a number of shrines – including Muslim holy sites – in order to eliminate what they view as heresy. They are also believed to have sold ancient artifacts on the black market in order to finance their bloody campaign across the region. Free speech is part of this civic morality in Scandinavia. 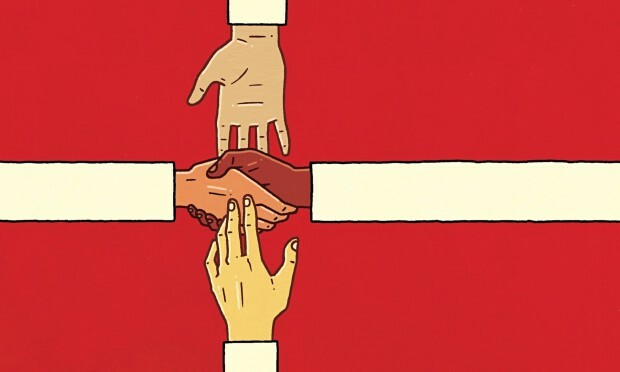 It is religious in as much as it functions as a part of identity, a moral duty, something that must be upheld by everyone – and a good that triumphs over mere calculations of advantage. This is why the shootings are so worrying in the long run. Appeasement does not work. 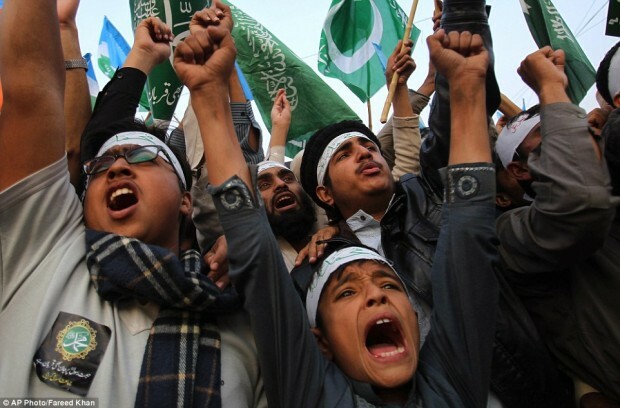 The jihadis simply see it as a sign of weakness and then make further demands. Police said the gunman, named locally as is Omar Abdel Hamid El-Hussein, was killed in a shoot out in the early hours of Sunday morning local time (Sunday afternoon AEDT) when he had returned to his apartment in Nørrebro, just south of the city. He was known to police because of past violence, gang related activities and possession of weapons and had recently been released from prison after serving a sentence for aggravated assault. El-Hussein had also been wanted by police in November 2013 for stabbing a fellow passenger on a train, according to Ekstra-Bladet, a Danish tabloid. This was corroborated by a statement issued by Danish police in 2013 describing an incident in which a man identified as Omar El-Hussein had stabbed a train passenger repeatedly with “a big knife”. Jens Madsen, head of the Danish intelligence agency PET, said the gunman could have been inspired by Islamic State and the Charlie Hebdo attack. He was known to anti-terror police and may have travelled to Iraq and Syria, he said. “PET is working on a theory that the perpetrator could have been inspired by the events in Paris. He could also have been inspired by material sent out by the Islamic State and others,” Madsen said. Overnight Danish police arrested two people — a Pakistani man and an Arab man — at a Copenhagen internet cafe near Norreport station- in the aftermath of the terror attack. 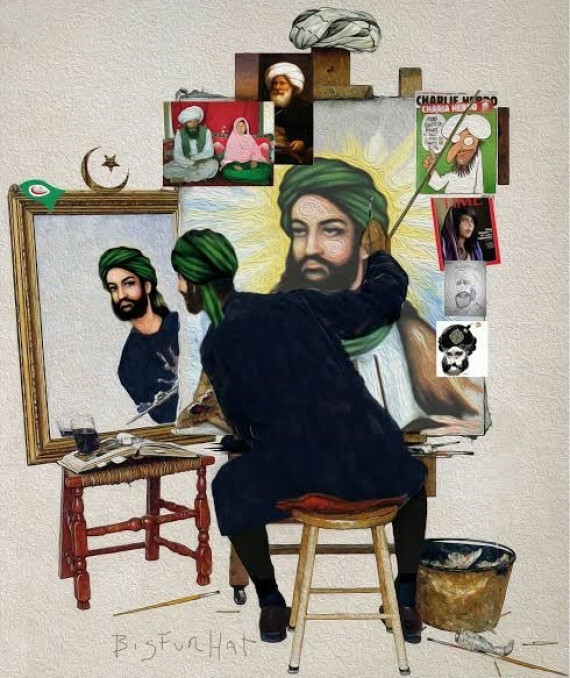 In the wake of the terrorist attack on French satirical magazine Charlie Hebdo, targeted for its irreverent depictions of the prophet Muhammad, Breitbart Texas reports that a “Draw the Prophet” event, accompanied by the First Annual Muhammad Art Exhibit and Contest, is scheduled for May 3 in Garland, Texas. The winner takes home $10,000.